Hi and welcome to the Family Homestead Oils team… The reason you were given this password is because we wanted to share this information with you. This is the fastest way to sign in 🙂 Your password is the 6-8 character that you chose when you signed up. This brings you right to the ordering page. You can also find Live Help on top. Hover off live help and it will give you a choice for location. After you click in English, it will bring another box up if someone is available. Once you are greeted, you will use your member # and your 4 digit pin to show your identification. 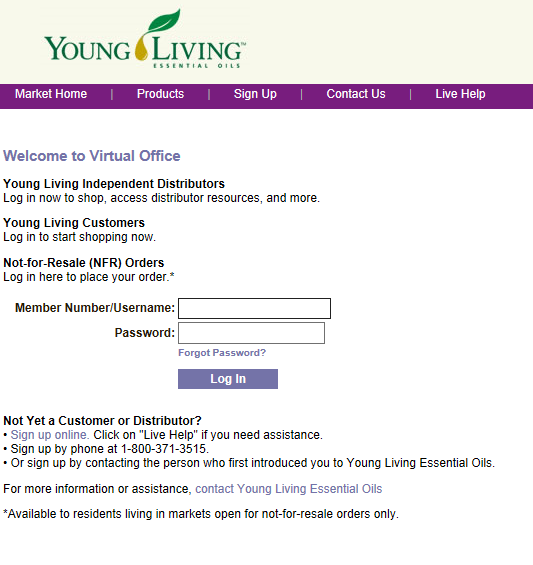 Virtual Office: This is actually the landing page. The monthly specials and any contests and interesting information are located here. Essential Rewards: below here I’ll put a link about Essential Rewards with some directions. Recent Orders: Click here and you can go back and see what you’ve done. You can also TRACK your orders here. (always anxious to find out when my fed-ex guy is coming!) If you ever earn a Voucher ~ you can find the voucher # here. Vouchers are traditionally good for 90 days, and the intent is to share with someone. If you aren’t going to use it, please let one of us know! Downline Viewer: The Downline viewer helps you see people you have shared the business with. An additional portion is coming on this. My Profile: you can go in here and change any of your pertinent information. Well, PV is what is used for qualifying for FREE products monthly (as well as in some levels of commissions.. but that is a separate page.) Your PV is not $=$… on oils, it usually is, but on other things like diffusers, or product catalogs. 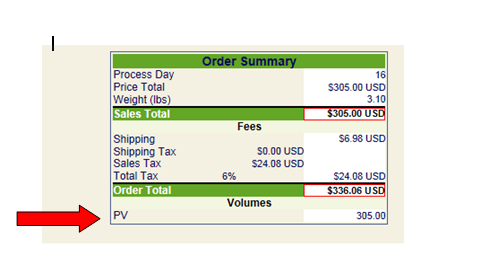 In your order your PV shows under your dollar amount. Double check it before you close out your order.